Onida, one of the leading manufacturers of home appliances, has a range of air conditioners for its customers. 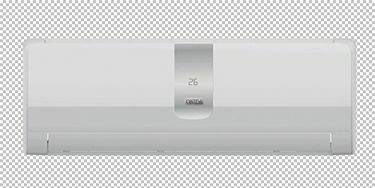 Apart from some of the best quality LED TVs under its belt, Onida has grasped a considerable portion of the market with its split and window air conditioners. These cooling appliances are suitable for your home, as well as, your office and are available in different capacities. Onida ACs come with the inverter technology, which provides proper cooling without burning a hole in your pocket. You can check out the price list of 13 Onida inverter ACs, which has been updated on 19th April 2019. The range of inverter air conditioners from the company comes with a wide array of features. It includes turbo mode, Wi-Fi connectivity, 2-way air swing, do-not-disturb mode, and sleep mode. Onida inverter ACs also come with copper coils to ensure the longevity of their appliances. Onida air conditioners come with inverter technology so that you can enjoy the cooling effect of the machines at the lower electricity cost. These air conditioners are available in capacities of 1-Ton and 1.5-Ton. Usually, a 1-Ton AC is suitable for a room with an area of around 120 square feet. 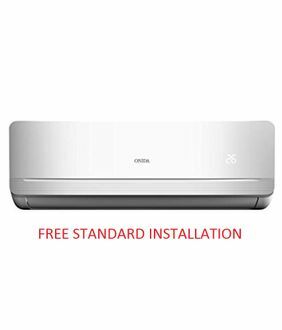 You can easily choose from the wide variety of 2-star, 3-star, 5-star rated Onida inverter ACs on several online shopping websites such as Flipkart, Amazon, and Croma. It would be a good idea to opt for either a 3-star or a 5-star rated inverter AC since this would help you get low electricity bills. Get ready to buy an AC at the lowest price by comparing the price of the model across the online stores.